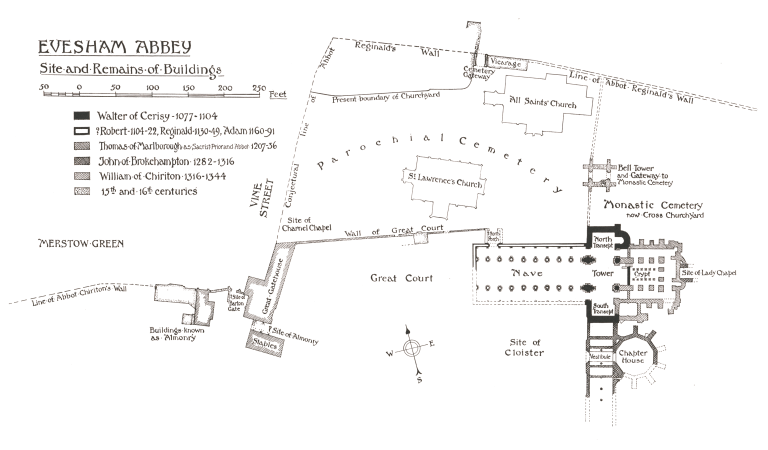 A number of speculative plans have been drawn up showing the layout of Evesham Abbey. Most of these plans have been based on the results of the Rudge excavations – which focussed on the abbey church and eastern claustral range – with the remainder of the site being drawn in based on educated speculation. 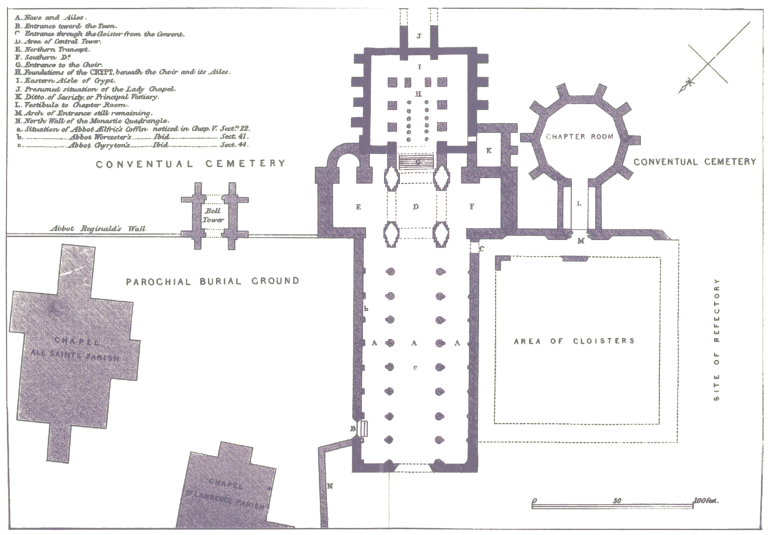 The next plan includes a lot of speculative detail, including the assignment of chapels and burials. 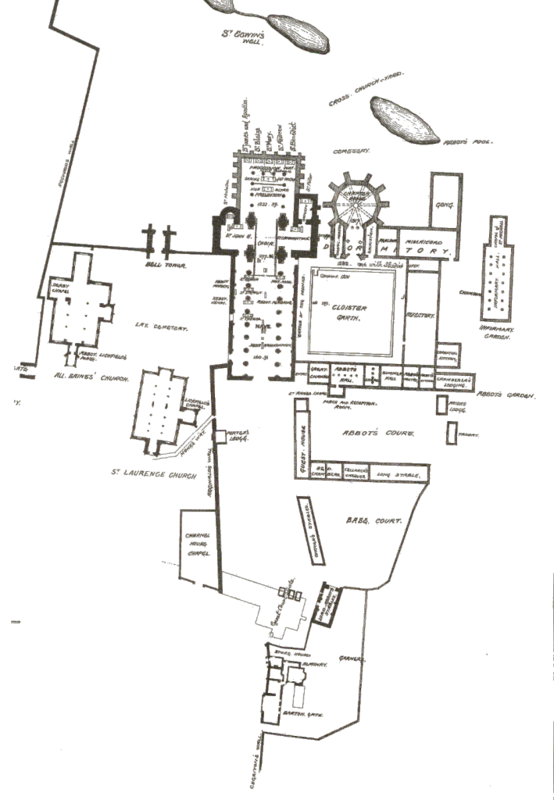 While a fascinating plan, nevertheless much of it is purely imaginative (albeit based on informed guesswork). There are no speculative assignments of dedications to presumed side chapels. There is no tagging of features believed to be burials of named individuals. To the left of the Great Gatehouse is a site tagged as “?Site of Barton Gate”. Below the Great Gatehouse is a site tagged as “?Site of Almonry”. This plan clearly shows that the imaginative fancies of earlier Victorian maps has been discarded in favour of a plan showing what was actually known. 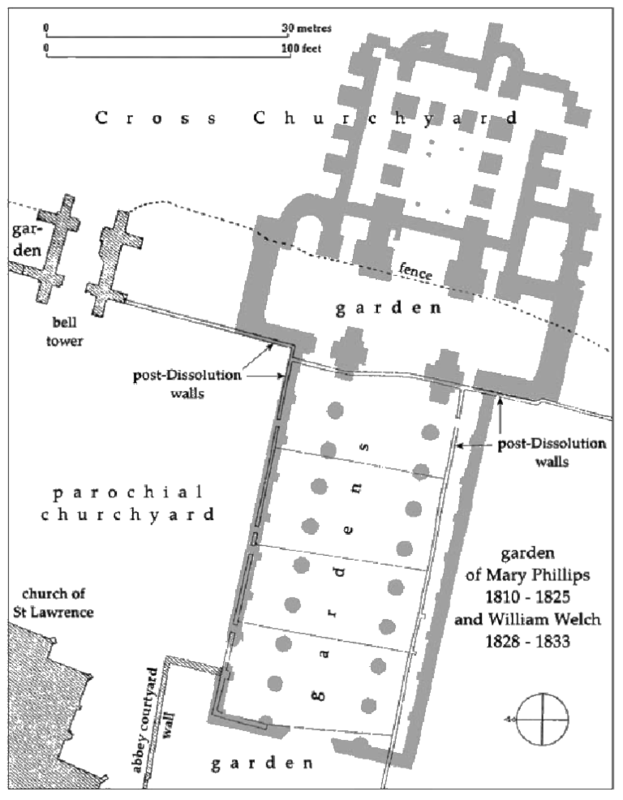 The significance of this ancient sacred site, and the lack of contemporary archaeology on the area, means that there is extraordinary scope for initial archaeology and research archaeology to uncover new truths and understandings not only about Evesham Abbey, but also about the development of monasticism in England.